As much as I love the 1960s, I’m an even bigger aficionado of the 1860s, so I had high hopes that I might enjoy “Copper” and “Hell on Wheels” even more than “Mad Men”. Unfortunately, like most critics, I found both shows to be uninspiring. Both commit the cardinal sin of period pieces: they assume that we’ll only identify with heroes who are just like us. As with most post-Civil-War stories, the hero of “Hell on Wheels” is a confederate veteran (because that’s “romantic”), and yet he quickly gets a co-equal black sidekick to prove that he’s not one of those confederates. At least on “Copper”, they give us a Union-vet hero for once, but otherwise it’s typical. Once again, he constantly defers to his black best friend, a scientific genius who has single-handedly invented all of the forensic advances that will appear in the next fifty years. Basically, the heroes of both of those shows say to their fellow white men, week after week, “Hi, I’m from 2013, and I’ve come back to set you people straight.” That’s what makes them the heroes. Historian professors like to warn their students against “the myth of progress”: This refers to the belief that everybody in the past was trying to reach the pinnacle that is us, so every time they became more like us they were moving “forward”, and every time they became less like us they were going “backwards”. 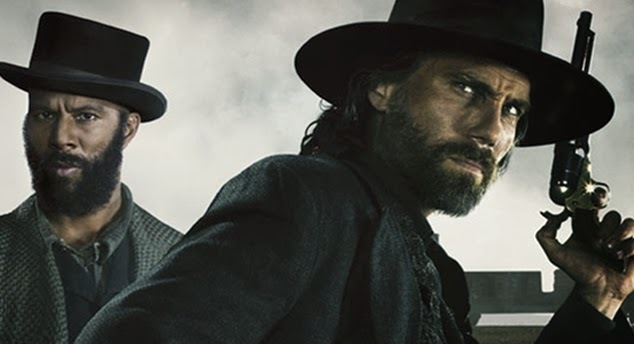 On “Copper” and “Hell on Wheels”, bad is defined as “how they did things then” and good as “how we do things now.” Both shows shy away from the possibility that the past might have an ironic relationship to the present. “Okay, great,” the audience thinks, “this guy is going to be just like us!” But before the scene is over, we realize that this isn’t the case. Don quizzes the man about what might get him to change cigarette brands, then, at the end of the conversation, the busboy says, “Reader’s Digest says it’ll kill you.” Don ruefully chuckles, “Yeah, I heard about that.” But then the busboy gives a tiny eye roll and says something that’s music to Don’s ears: “Ladies love their magazines.” Don may have ten times more power than the black man, but at least they share a chuckle about how unimportant the views of women are. We quickly realize that Don is nothing like we want him to be. Yes, because of his dirt-poor background, he has some respect for black suffering, but he couldn’t imagine himself having any black friends. Don’s an upper-middle-class white man in 1960, with all (or at least most) of the reflexive bigotries that that entails. The tease of the show is that we keep rooting for Don to finally wise up to the flaws of his era and just start thinking like us already, but creator Matthew Weiner is always happy to yank that football away. 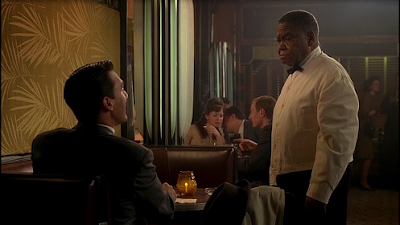 This led up to a delightfully ironic moment at the end of the first season, when Don, after taking no offense at several horrific things, finally arrives at the one injustice he can’t accept…when Joe Kennedy steals the 1960 election from Richard Nixon. Only now does Don get fed up with the fact that the system is unfairly rigged against the little guy! “Mad Men” actively strips us of our modern morality and sends us spinning head-over-heels into the past, unable to find secure footing. We’re in Don’s world now, and we’re never sure where we stand in relation to him. The better we come to understand his skewed morality, the more we come to doubt our own certainties. The show is steeped in irony, which is why it’s so meaningful. 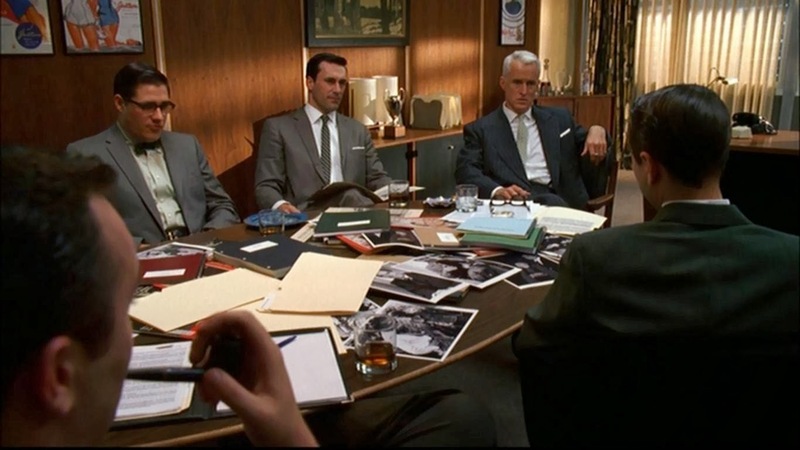 The danger of the "Mad Men" approach is that it can get smug through the "progress" idea -- "look how much better we are now than we were then!" If the audience feels consistently morally superior to the characters, it doesn't work as drama anymore. We're too removed from the characters, too busy judging them to empathize with them. MM flirts with this once in a while, I think, especially in the first season. It's my least favorite aspect of the show. Most of the time they let the discontinuities between then and now show up without drawing undue attention to them. They trust that we'll notice. One of MM's finest features is that it doesn't pander to our need for an anachronistic protagonist. Man, that's some crap. I agree completely that period pieces ought to do their level best to see the past without judgement, without superimposing present day morality. And yet, I have a question about far far it's possible to take this idea. Because not everyone has the stones to make or sit through, I don't know, the QUEST FOR FIRE of any given era -- the pure experiential approximation of what it must have been like from the inside. 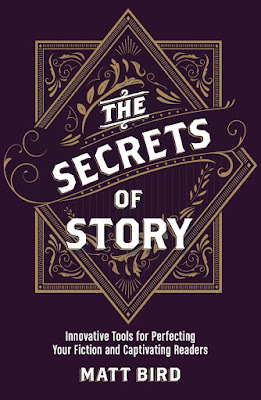 Aren't we really mostly interested in stories and times from the past that reflect on the some aspect(s) present? Isn't that kind of inescapable? And then there's the "has a black friend" detail you noticed in the first ten minutes of so many Hollywood films set in the present day. I'm not even sure you personally think this is desirable or acceptable shorthand now. But is it really that much worse or less offensive a cliche in a Western than it is in THE 40 YEAR OLD VIRGIN? Yes, period pieces are always really about our time, not their time, but that's precisely why the story must *contrast* our time with theirs, instead of merely overwriting their time with our ideas. We write about the past to highlight the present's ironic relationship to the past, not simply look for someone in the past who was just like us. As for the "high five a black person" scenario, as much as I complained before that, in modern day stories, (a) this shortcut is overused and (b) it's done in a very hypocritical way, because the black person who is high-fived totally disappears from the story after that, I feel that, in period pieces, if you must do high-five a black person, then it's actually *more* hypocritical if the character *doesn't* disappear after that. Don essentially high-fives a black person when he stands up for the busboy, but then we realize that he's not a time-traveller and he doesn't actually have any black friends, as his character of course wouldn't. That works. On Copper and Hell on Wheels, by contrast, giving the heroes permanent black sidekicks to make it clear that they lack the prejudices of their day feels totally phony, shows an unwillingness to deal with the messiness of the past, and ruins the opportunity to draw *ironic* parallels instead. Don's righteous anger at the injustice of the 1960 election is ironic: he's doing what we want him to do, getting upset about an injustice, but he's protesting an injustice that ironically turned out to be for the best. That irony is very meaningful for the audience. The hero of those other shows' righteous rejection of racism is unironic: they're doing exactly what (we think) we would do. The creators of those other shows are saying, "Yes, this is set in another time, but that difference doesn't really mean anything." All that money they've spent recreating the past was for naught, because they've rendered the contrast meaningless.